Coca-Cola and Visa have spoken out against the human rights abuses taking place in Qatar, where hundreds of workers have died during construction work on the 2022 World Cup sites. Coke, along with Fifa's other seven sponsors, is under pressure to speak out about poor working conditions in Qatar, and to lobby the Qatari government to address humans rights abuses. A spokesman for the company said: "The Coca-Cola Company does not condone human rights abuses anywhere in the world. "We know Fifa is working with Qatari authorities to address specific labour and human rights issues. We expect Fifa to continue taking these matters seriously and to work toward further progress." The spokesman said: "We welcome constructive dialogue on human rights issues, and we will continue to work with many individuals, human rights organisations, sports groups, government officials and others to develop solutions and foster greater respect for human rights in sports and elsewhere." Visa has issued a similar statement, urging Fifa to act faster. A spokesman said: "We continue to be troubled by the reports coming out of Qatar related to the World Cup and migrant worker conditions. "We have expressed our grave concern to FIFA and urge them to take all necessary actions to work with the appropriate authorities and organizations to remedy this situation and ensure the health and safety of all involved." The comments come after a group of workers' rights unions launched a campaign to pressure the eight sponsors into taking a stand. The remaining seven sponsors include McDonald's, Adidas, Kia, Hyundai, Gazprom, Budweiser and Visa. Jamie Fuller, CEO of Australian sports brand Skins, said he had personally written to the eight CEOs asking them to push for organisational reforms at Fifa. Tory MP and Fifa reform campaigner Damian Collins told the press the sponsors would have "blood on their hands" if they let the situation continue. Around 1.4 million migrant workers are estimated to be living in Qater to help build stadiums for the World Cup, with many living in squalid conditions. Kia refused to comment on the issue, while the other sponsors have yet to respond to a request for comment. 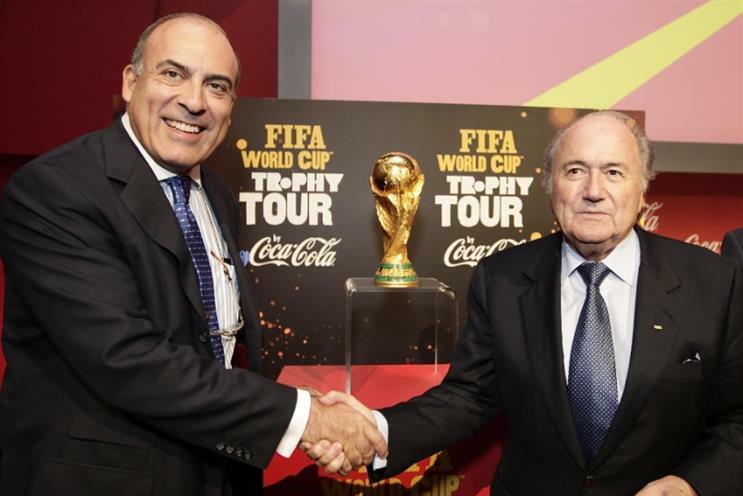 Several sports marketing agencies, whose clients include the Fifa sponsors, also refused to comment. While the campaigners have called on the sponsors to reconsider their support for the tournament, it is extremely unlikely any will drop out. One reason brands are unlikely to take drastic action is simply the pay-off from being a World Cup sponsor. Several are also long-term sponsors, with Coke involved with Fifa since 1974. Coke last year trumpeted the fact that it was the "most-recognised" brand sponsor after the tournament, a position it will be unwilling to sacrifice. Adidas, meanwhile, boasted of "record" revenue for soccer goods following the World Cup, helped by the fact the German national team won the tournament. Chief executive Herbert Hainer also pointed out the brand was the most mentioned on social media, a considerable triumph over rival Nike.